The event begins at the Albee House (13018 Maple Ave, Blue Island, IL) at noon. Homes will be open between noon and 4pm. Dr. Seim, an early Blue Island physician, raised his family here and practiced medicine from an office in the home. 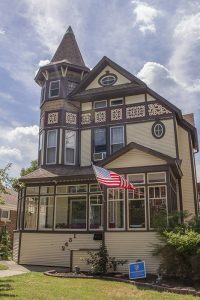 With its tall, two story octagonal turret, complete with clerestory windows and a towering peaked roof, Dr. Seim’s home and office was one of the most prominent dwellings in Blue Island. 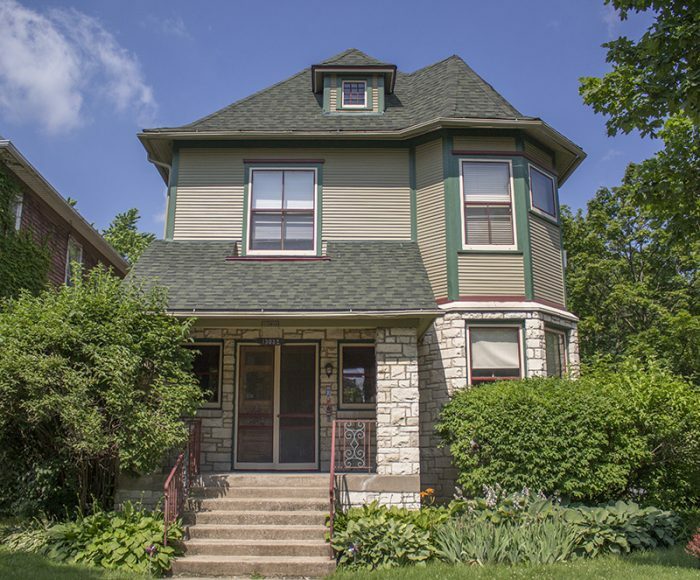 Although antique in appearance by today’s standards, the home was thoroughly modern when built, and Dr. Seim was among the first to own a telephone line in Blue Island, at a cost of $300 – nearly $7,000 in today’s money! Now a private residence, the home has retained its original vintage detailing, including intricately cut spandrel panels separating the second and third stories. Interested in learning more? Purchase your discounted presale ticket to the 32nd Annual House Walk today! Interested in learning more? Purchase your ticket to our 32nd Annual House Walk today! Fred Dohrman was a painting & decorating contractor as well as an officer and 50-year member of the Blue Island Masons. The house was built by Frank X Rauwolf, a prominent local builder who was responsible for constructing the Blue Island Carnegie library in 1904, and the addition to city hall in 1924. 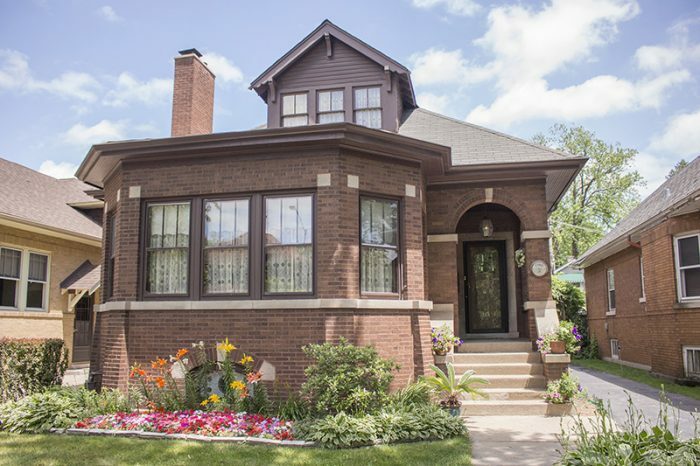 The house is a particularly handsome example of a building type known as the Chicago Bungalow. 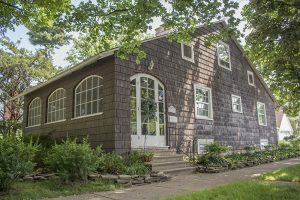 Thought by many as indigenous to the Chicago region, the bungalow is generally recognized as having its origins in India before its arrival in California in about 1900. 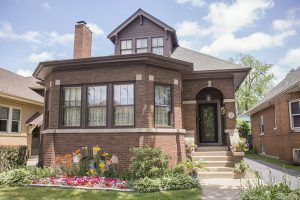 Chicago bungalows were typically built in the Arts and Crafts style with quality materials that included brick, stone, plaster, oak woodwork, and art glass windows. Because they were built in large number, the economy of scale made it possible for the average family to purchase its own substantial home for the first time. 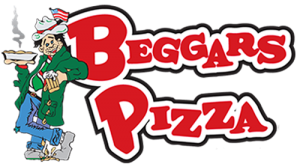 *Thank you to Ken Jellema for this great content! A local landmark since 2017, you’ll also find this verbiage on the plaque in front of the Dohrman House. Recently rediscovered as a Robert Seyfarth design, this home was built for the Director of the Blue Island Trust & Savings Bank and his wife in 1914. Get your tickets now and don’t miss your chance to see this architectural gem! This year’s House Walk includes a House of Worship – St. Joseph & St. Aidan Episcopal Church! 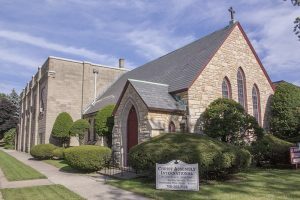 The chapel was built in 1931 after 11 years of religious services in what is now the back section of the building. That section, originally known as the Institutional Building, was used as an armory for Company M of the Illinois National Guard during World War I. 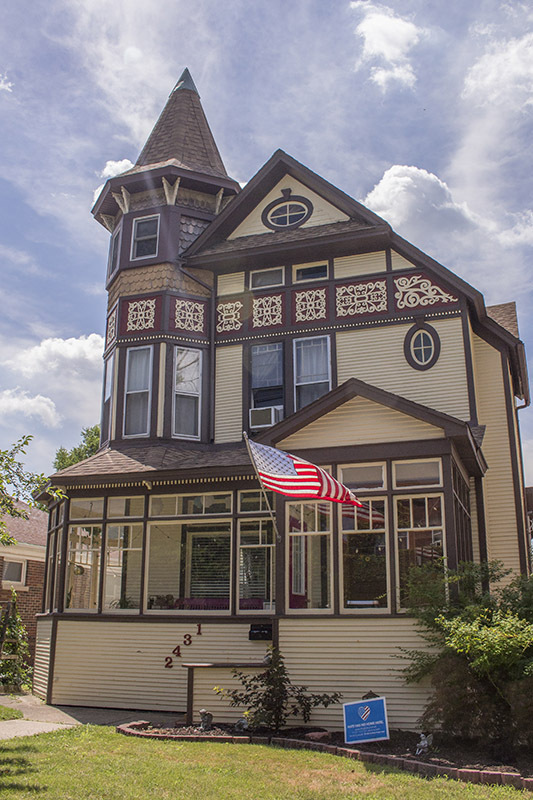 The Albee House, built in 1878, was the home of Harry and Myrtle Albee. The family occupied the home until 1942. 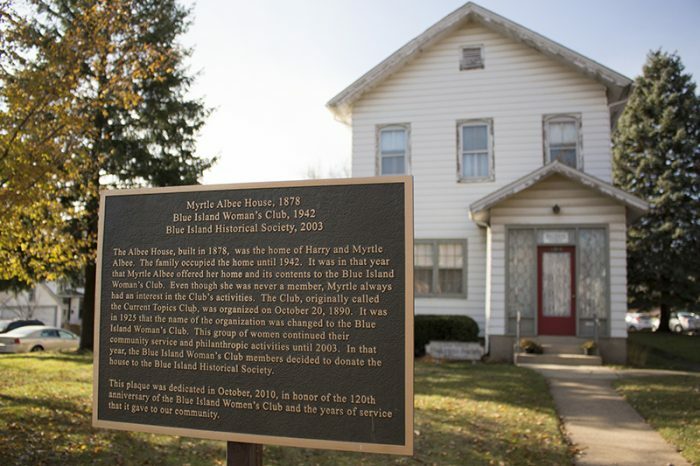 It was in that year that Myrtle Albee offered her home and its contents to the Blue Island Woman’s Club. Even though she was never a member, Myrtle always had an interest in the Club’s activities. The Club, originally called the Current Topics Club, was organized on October 20, 1890. 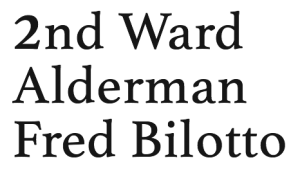 It was in 1925 that the name of the organization was changed to the Blue Island Woman’s Club. This group of women continued their community service and philanthropic activities until 2003. 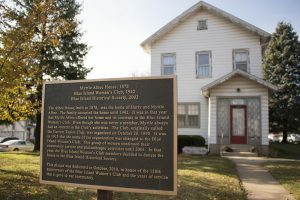 In that year, the Blue Island Woman’s Club members decided to donate the house to the Blue Island Historical Society.